If you wanna have the bag that not many people has it, then how about this Monogramouflage Lys. It's very unique design for Louis Vuitton and I love it. Monogramouflage is the result of collaboration between Louis Vuitton Artistic Director Marc Jacobs and Japanese artist Takashi Murakami, and was inspired by one of Murakami's major works, "Magic Ball." 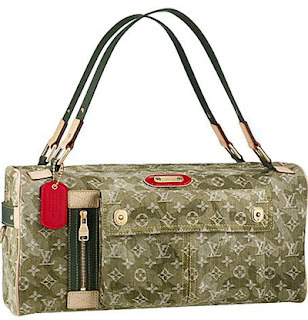 * Contrasting leather nametag dangling from handle reads: "Monogramouflage Édition Limitée Takashi Murakami Louis Vuitton"
0 comments on "New bag from Louis Vuitton Monogramouflage Lys"